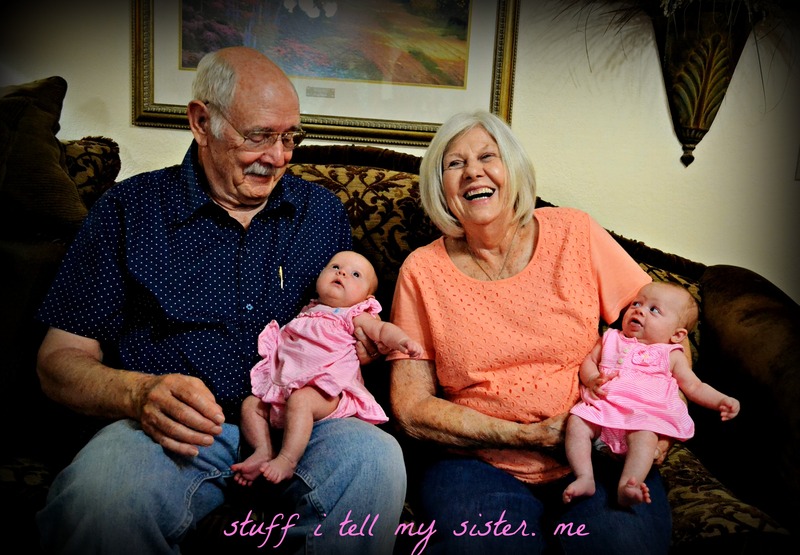 Our grands, Selah and Chloe, are now 8 weeks old. Just a day shy of two months. Over the weekend they got to meet GREATS! Great Nana and Papa and Aunts and Uncles and cousins, and, and, and. I think they were pretty good sports, all things considered. And they do not like giant pink bows. Smile. So this is what I’ve been doing. What have you been up to?!? 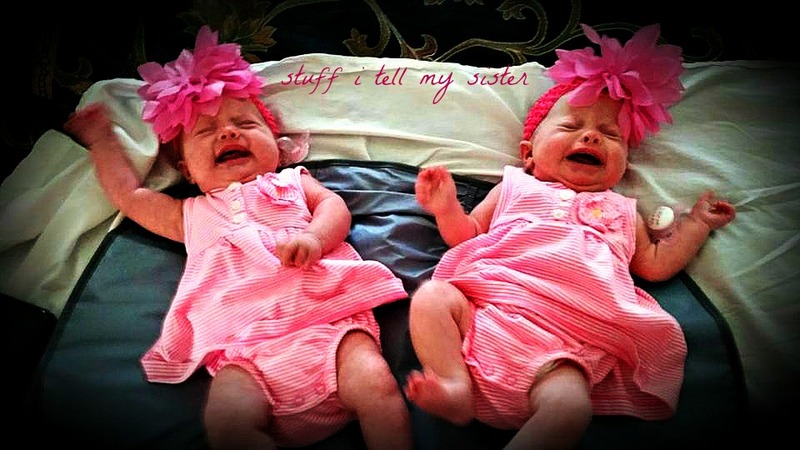 This entry was posted in Family and tagged 8 weeks, babies, crybabies, grands, Greats, No teeth, Pink bows, summer photos, Twins. Bookmark the permalink. 6 Responses to Grands Meet Greats! Totally enjoyed the ” Sit & Sip”!!!! Thank you for being there! You are the best “rocker”!